New systems have been developed to reduce construction time and costs. The newer models use fewer materials, have high strength and durability, and offer maximum comfort. The market is also witness to smart materials, flexible to any construction need. 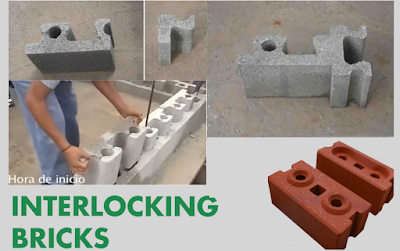 The Block Armo system is a self-supporting, self-supporting building system, in the form of interconnected concrete blocks. Low cost and shortened construction time for half, used to build 3000 houses in Mexico that does not require cement and self-supporting, low cost and shorten construction time for half. One of the new models developed in the sector is the new,low build system created by Juan Manuel Reyes and architect Jorge Capistrán.Their new system reduces the construction process, it also has a new form where it uses single module blocks that do not require any binder, mix or skilled labor during the construction process. Stone blocks are made using recycled materials and low water production methods.